Hot! Hot! Hot! No Wait - Cold! Cold! Cold! The Weather In December is frustrating as with 4 seasons in one day often becomes fact. Summer is in full swing, the temperatures are up there but all this can change in the blink of an eye. The end of the year is drawing close and the busy holiday season is about to begin. 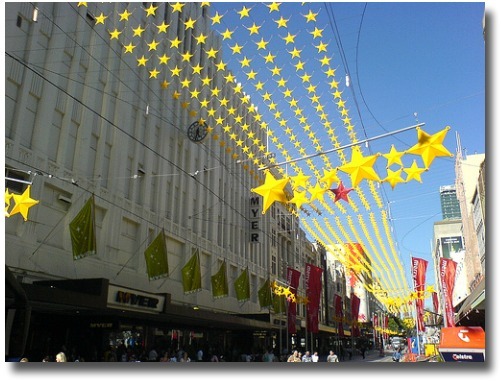 Santa is on his way and the Christmas festive season has hit the city and surrounding suburbs with decorations and Christmas lights strung everywhere. 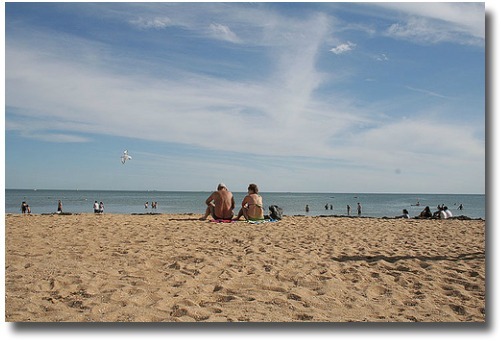 The Melbourne weather in December is warm, unpredictable and full of surprises. School holidays begin and the beaches are beginning to fill up. Thongs and shorts now become the local attire and the shops are full of cool casual summer gear as Melbournians and Tourists start to enjoy the great outdoors. 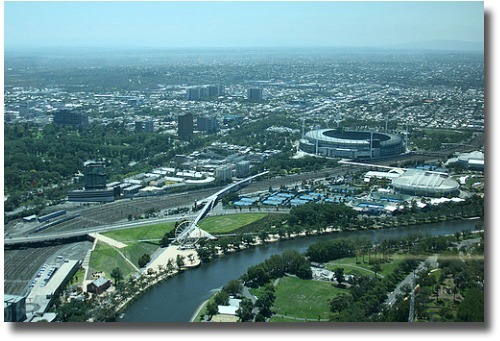 During Melbourne weather in December the days can be quite hot and sticky as the humidity rises. The rain fall is still quite high, average figure of 59.1mm, and this usually occurs during the night or in short, brief, heavy downpours during the day. The nights are still usually cool so it is always a good idea to have a warm top close by. 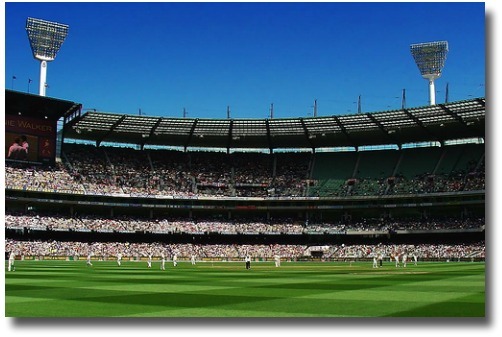 Melbourne loves to show itself off in Summer and one of the great sporting events that all the family can enjoy is the Boxing Day Test Match at the iconic MCG. Blue sky, gentle southerly breeze blowing and the top players in the cricketing world there in front of you doing battle...perfect! 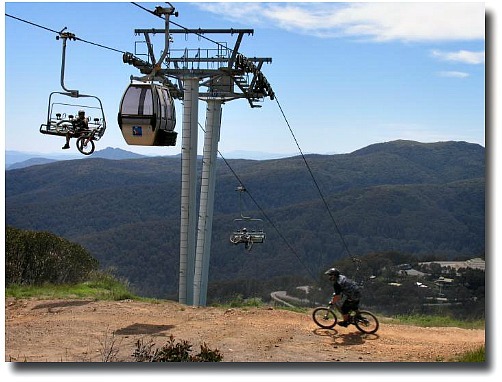 A couple of hours north east of Melbourne are the famous Mt Buller Ski slopes. The snow has melted but Summertime is still fun to visit this area as the views are spectacular and accommodation is quite easy to find. There is still plenty to do and see in the region and touring around the Man from Snowy River region is quite an experience! 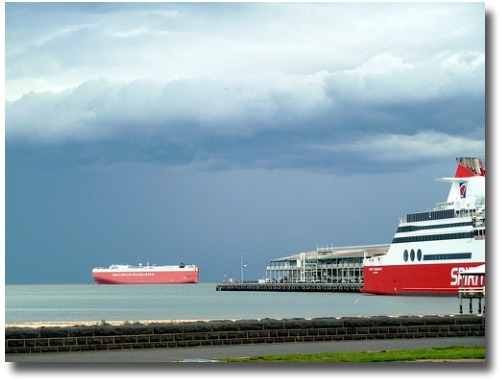 Melbourne Weather In December Can Also Bring Danger! Strong, hot, northerly winds blow in from across the inland deserts and couple this with soaring high temperatures, the Victorian countryside is baked. Once beautiful green pastures are now turned into tinder dry open plains and overgrown forests choked with crackling dry foliage are the perfect places for what Melbourne has come to know as High Fire Risk areas. On severe Fire Danger days no fires are allowed to be lit in the open however this unfortunately sometimes doesn't stop Nature. If you are a tourist be aware of the risks when venturing out into the countryside. Listen to the weather forecast and please do take head of the fire danger warnings. 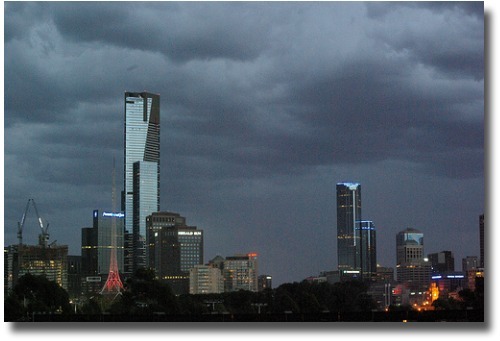 Melbourne weather in December can be dramatic, exciting, exhausting, unbearably hot or uncomfortably cold. That's Melbourne climate for you. 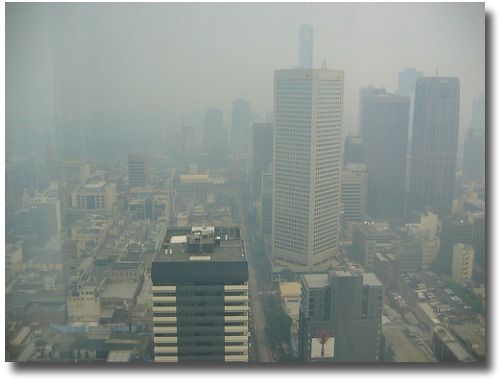 There is one thing though that does help Melbournians and Tourist alike and that is the knowledge that a Melbourne heatwave will not last and that much needed southerly change will come in soon. Sometimes that welcome southerly doesn't just bring a cooling breeze. 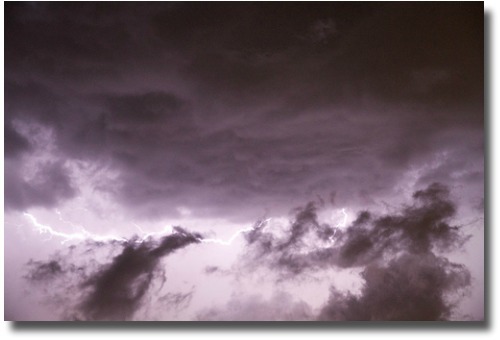 Sometimes it is accompanied with lightening, thunder, rain and hail. Watch the forecast and be aware of what may be coming, you never know. 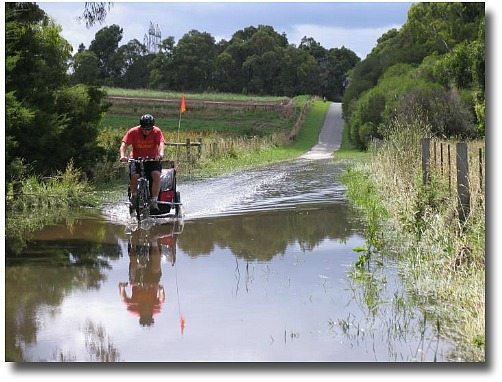 Melbourne summer storms can also bring very heavy downpours and flash flooding is quite a common occurrence. Please be aware that areas like drains and creeks, although filled to overflowing, can be quite dangerous to play in during these times. The other thing to watch out for with flood waters are the snakes, being that Melbourne's Summer time is the breeding and birthing time for these creatures. As unpredictable as it is in December Melbourne's climate is still great with most days clear and sunny, an average of 10.5 days of rain in the month, and with 7.4 hours of daily direct sunshine. When is the best time to snow ski in Melbourne? When does Autumn begin in Melbourne? What is the weather like in February in Melbourne?